Smartphones are an integral part of our lives. More than 2.5 billion users worldwide order goods and services, chat with friends, buy and sell stock, do online banking and get any kind of information non-stop. People of today are „netizens“. Digitalization has greatly influenced how we communicate and live. But it has also changed the traditional roles in the economy and how we do business. Today, the classic role split into buyer or seller of goods and services has vanished. People take both roles in a true peer-to-peer economy. Companies have created P2P marketplaces based on this trend. 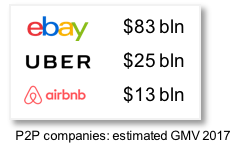 Prominent companies like Ebay, Uber and airbnb are global players based on peer-to-peer and shared economy. Sharing and decentralized peer-to-peer economies are the future — yet no global player uses the approach with blockchain technology for a decentralised global service industry. 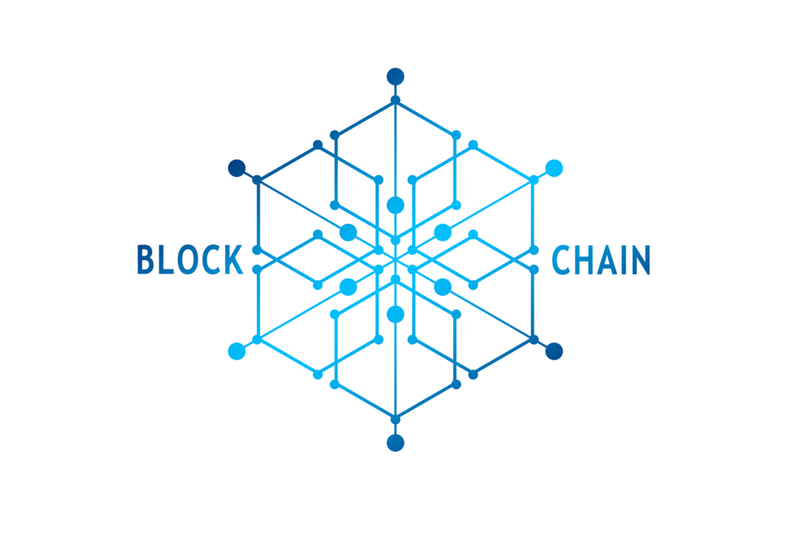 Today Blockchain technology and cryptocurrencies are revolutionizing the way we setup contracts and compensate business partners across borders in almost realtime and without exchange rates or large overhead fees. Smart contracts allow to implement escrow functions and take out the middle man from these transactions. These features make blockchain technology and cryptocurrencies a perfect fit for the peer-to-peer economy since they allow to address key barriers for people to do business transactions with other people: trust and reliable compensation. First blockchain based startups focus on professional services or freelancers for projects. We at Coins4Favors have identified a huge market that is an even better fit with blockchain technology and has a huge potential: the global decentralized peer-to-peer market for small favors and mini-jobs. With our decentralized marketplace and app, everyone can ask for or provide favors or mini-services to everyone. We bring blockchain to the people. Coins4Favors is the solution: With our Coins4Favors Smartphone App you can specify a favor request for a mini-job and the location where you need it done — anything, anywhere, anytime. 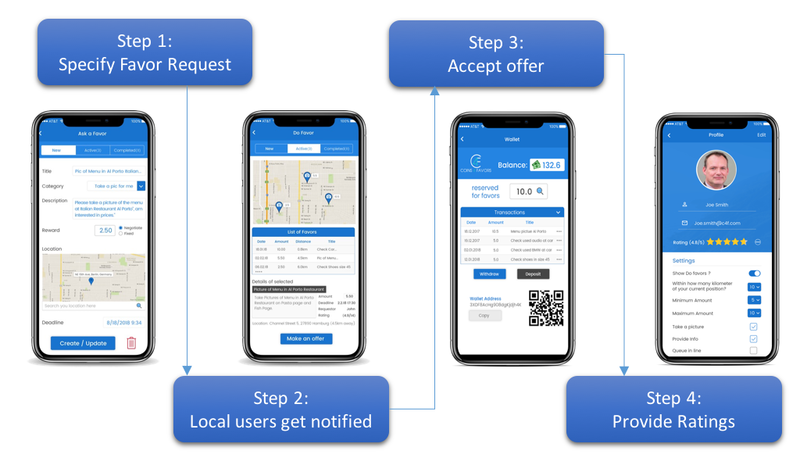 Via the built-in GPS location service, other Coins4Favors users at the location where you need the favor are notified by the app and place offers or accept your offer in FavorCoins. The public rating system helps to assess quality of requester and potential provider and the amount of Favorcoins agreed upon are reserved in an escrow wallet. After successful completion of the mini-job the FavorCoins are transferred and ratings can be given to both parties of the transaction. With our app, everyone can enjoy the great benefits of blockchain technology — and offer personal skills for the good of others. The global service industry is worth trillions of dollars per year, so imagine which potential we are tapping into by enabling a peer to peer service market around the globe for mini jobs provided by everyone. With Coins4Favors you can ask for jobs in remote places or help others by doing them a favor or mini job and enjoy instant payment via blockchain technology. We bring blockchain to the people and have a real use case and platform behind out concept plus an already working prototype of the app and service platform. If you are interested in more examples, check out our project video on Youtube as well. 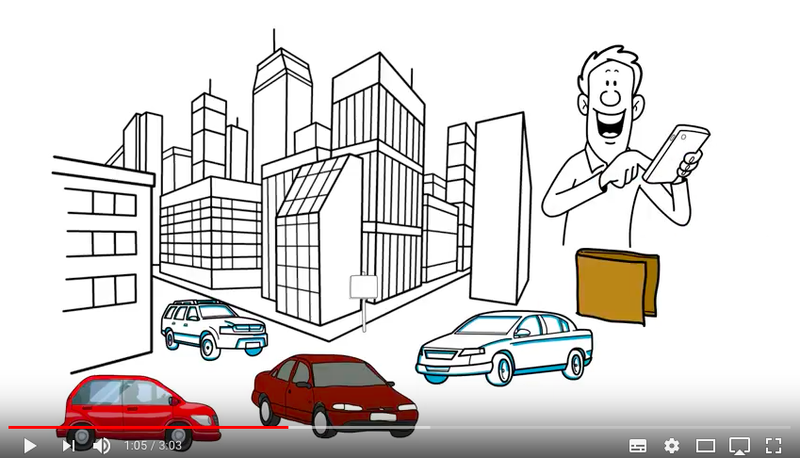 Here you can learn in only three minutes how the system works and how we will revolutionize the peer to peer service industry with our FavorCoins. How can you benefit from this development ? 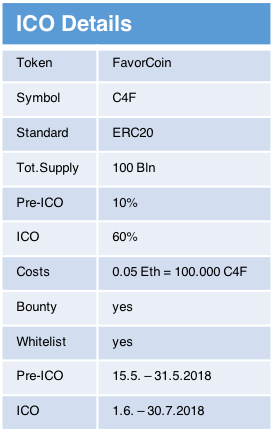 You can join us for our upcoming ICO and benefit from the up to 25% Pre-ICO bonus of the Coins4Favors ecosystem. 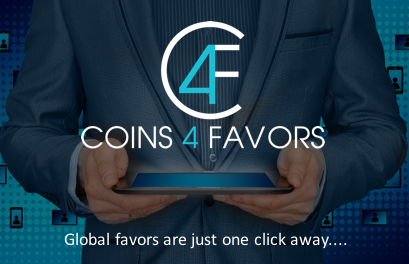 Get your tokens before the Coins4Favors system takes off and generates a multi billion dollar marketplace. Hurry up, sign up to get whitelisted now to be able to purchase FavorCoins at a huge discount ! 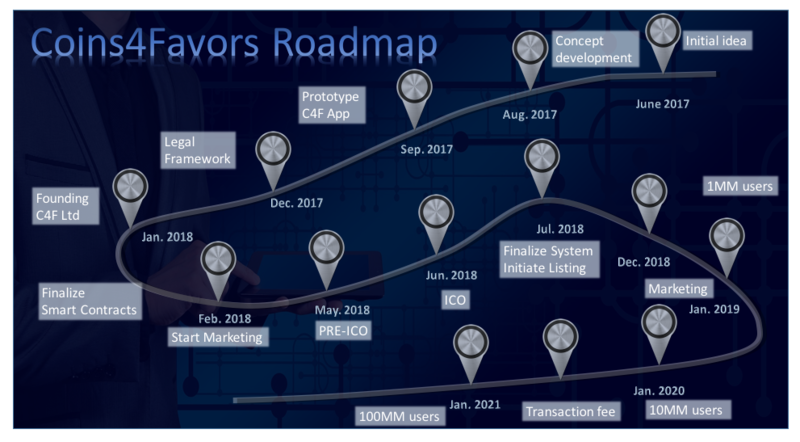 We are following a strict roadmap to ensure a successful development and implementation of the Coins4Favors system. 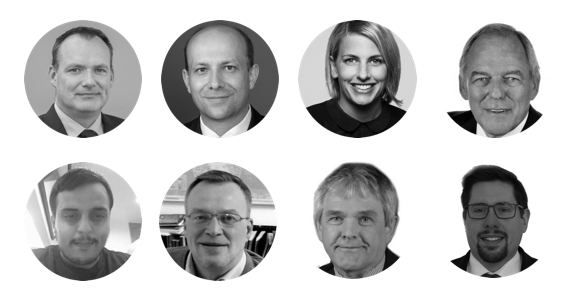 We have a powerful and well experienced diverse team that is driving the project with professionalism and dedication. You can read all the details about each member in our whitepaper or on our Homepage.